I am writing to you in the (vain) hope that you will correct my problem without harassing me. I hate to sound so negative (actually, I don’t mind at all) but my recent interactions with you have been, shall we say, less than exemplary. I recently moved and, despite my misgivings, decided to keep my service with you. This alone should have given me a few attaboys in your Verizon rewards system. What I did not recognize is that attaboy are a lot like rasbuckniks* – totally worthless. After numerous telephone calls and exchanges with various Verizon departments, you add insult to injury by attempting to “improve” my service with a few (many) questions about the items I currently have. Saying that I am perfectly happy with my current service doesn’t stop you. Asking you to fix my billing problem first doesn’t stop you. Threatening to change service providers doesn’t stop you. Telling you that there is a vicious black bear behind you doesn’t stop you. 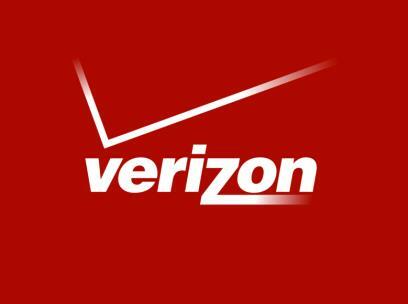 By the way, what’s up with the name Verizon? If it’s a combinatory name, then what two names did you combine? Very and Horizon? Veracity and Zone? My personal choices would be So-so service and Badger – SoBad – or how about Contradictory Answers and Fusillade of Extraneous Questions – ConFusE? As you can tell, I am not very good or appreciative of made up names from combinations. One day, some overly clever marketer will decide to name a progressive book company that publishes recorded logs of religious material by combining Diarist and Heavenly to get — Diarrhea. *The rasbucknik was the currency unit of Lower Slobovia in Al Capp’s comic strip “Li’l Abner.” One rasbucknik was worth nothing at all; a million rasbuckniks were worth even less because of all the trouble of lugging them around. This entry was posted in Humbug! and tagged annoying people, complaints, humor, humour, poor service, telephone bill, thoughts, Verizon, writing. Bookmark the permalink. But, as they say to you repeatedly when you’re on hold – “Your business is very important to us” – NOT. What’s important to them is putting you on hold. “Telling you that there is a vicious black bear behind you doesn’t stop you.” Don’t you wish at times like these you had “a vicious black bear” friend who would help you plead your case? I bet you’d get a full credit and bonus points at the speed of sound if you did. Yes, it would almost be worth it if it was, in fact, a vicious black bear. Of course the best cell phone company is the one a person doesn’t have. My sympathies. Yes, the grass is always greener on the other side of the telephonic fence. Yeah. I think that cell phone companies are an under-rated evil in this country. Yes, both the wired and wireless telephone industries are underrated evils. Good old L’il Abner. Those were the days. Maybe you could send a plague of schmoos to Verizon. The schmoos, being good little creatures, would probably not cooperate in forming a plague. My thought would be to tie up the executives and force them to watch endless reruns of Richard Simmons exercise videos. So did Verizon learn from Comcast, or vice versa? I believe they all conspire together. Ah, yes. Never, never pay anything in advance, especially when motivated by a self-imposed feeling that corporate advertising actually means what it says, as in “we love you dear customer, our most cherished asset, and we really care about your feelings.” This message comes in many phrasings and is invariably as false as a realtor’s kiss. Despite the hard part of my head knowing differently, the mushy human part of me continues to obstinately assume that all assertions are well-intended. I paid a mortician for a marker and for death certificates and a month later there are no certificates and the marker is stuck in the design stage. He was so accessible before the payment! There are, they say, exceptions to every rule, perhaps except to this one, and in the interest of full disclosure I must reveal that when Time Magazine says they will do something, they do it. I cancelled a subscription (not for lack of appreciation but for too much to read) and two weeks later, I had a $74 check for a full refund. It is a glimmer of hope. Thanks for stopping by. Many of the people to whom I comment complain that my replies seem like hate mail. Surely you know that was tongue-in-cheek based on the letter you sent to Verizon…could it be that I am seeing the soft under belly of the Curmudgeon himself??! Yes, I know, but I have to keep up my surly reputation. Your response is the one I feel I’m getting when I talk to a customer service rep.
Oh, I feel for you. Nothing sends a person closer to their grave than battling customer service. Ugh.